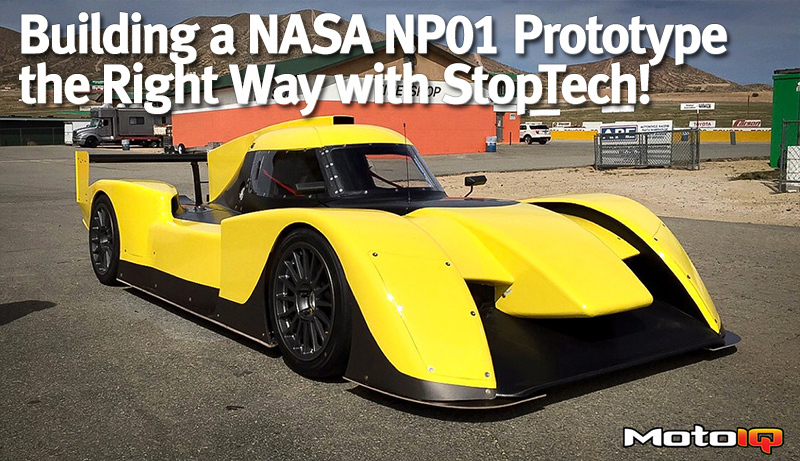 Last November we had the chance to drive and evaluate NASA's NP01 Prototype built by Elan. We loved the car and eagerly awaited its availability. 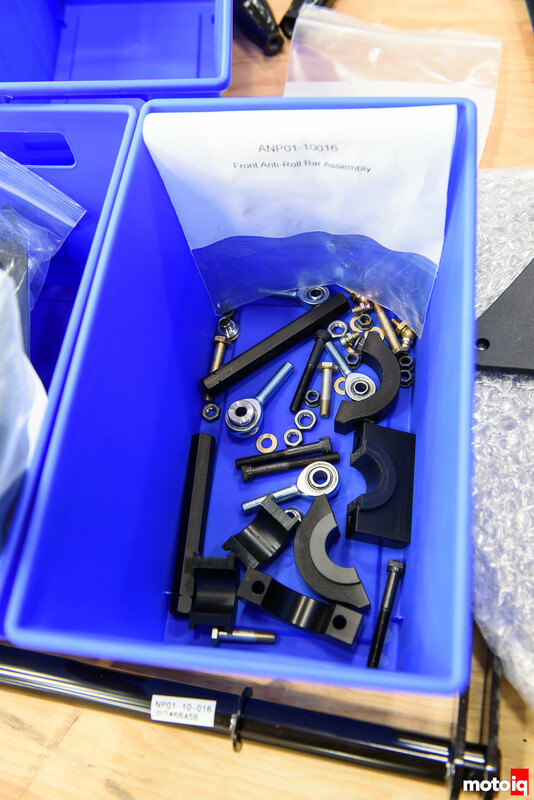 Now fast forward a few months and our friends at StopTech, the offical brake suppliers for the NP01, were able to get one of the first NP01 kits. Since StopTech's facility was undergoing expansion, it was agreed that the car would get built at the palatial MotoIQ mega shop and that we could do a series of articles on what it takes to build a winning NP01. After some time on the waiting list, two large crates were delivered to our shop and the lids were pried open. Check out our driving impressions of the NP01 press car. To read about how the build of our car started check this out! Part two of putting it all together look at this! Man there are a lot of parts in here! The NP01 kit came in two very large crates. 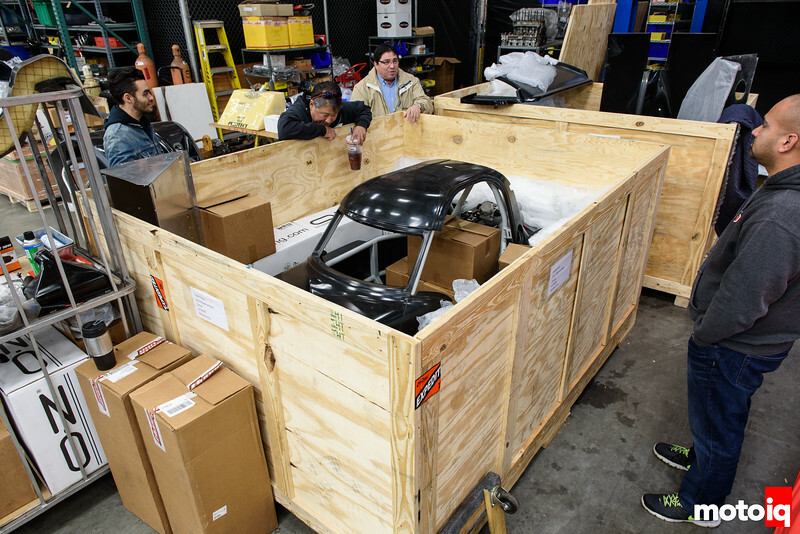 One crate contained a lot of the low density and fragile parts like body panels, lights and interior panels. 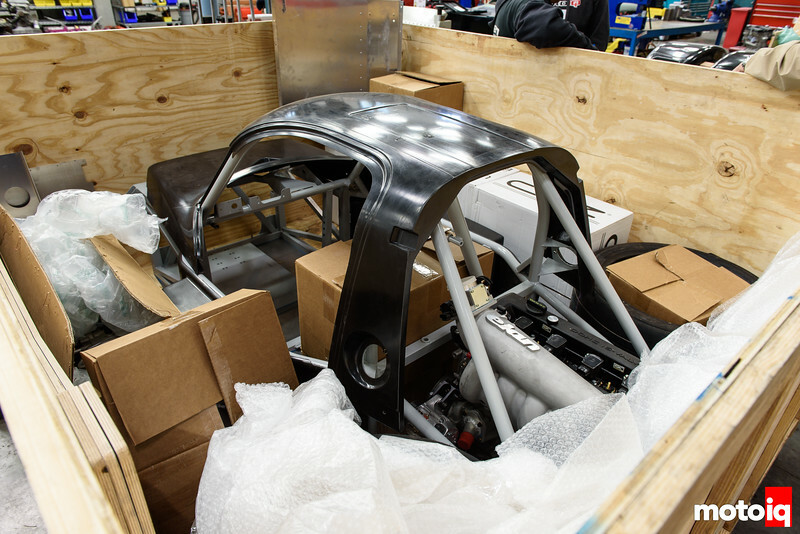 The other crate contained the chassis, engine, transaxle and other dense and less fragile parts. We all look a bit overwhelmed at the moment! Actually if you have ever bought a racing go kart, we got the same sort of feel when we first unpacked the NP01. It's all there just in pieces. No instructions either so it's not exactly for beginners, not by a long shot. It's one thing to put one together and get it running but it's another to assemble and prep it to be a reliable and winning race car. 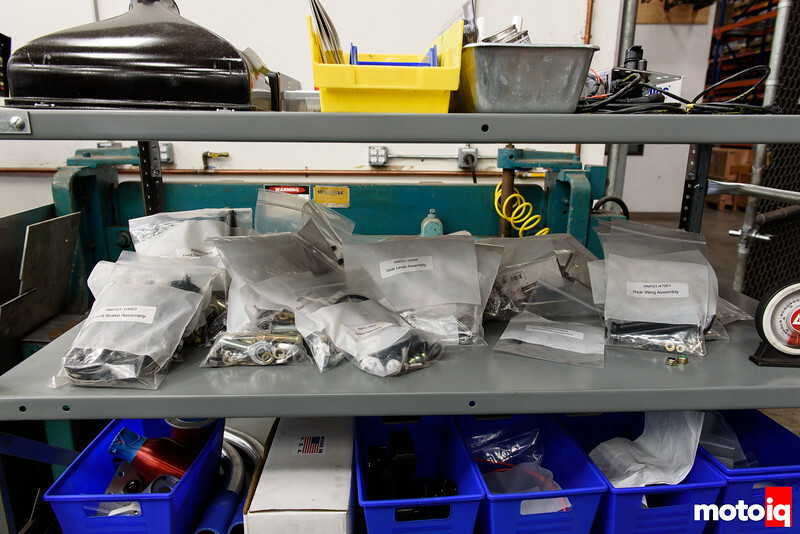 One of the first things the StopTech crew did did was to lay out the entire kit and organize the many parts into sub groups so a logical order of assembly could be planned out. If you do some things in the wrong order, they'll end up having to be redone to access parts and other hassles. Pre planning saves time and eliminates mistakes. The parts and sub groups of parts laid out and organized. Some of the sub assemblies were pre assembled at this time to consolidate the groups and to make dummy assembly of them easier and faster. With no instructions, this step was critical.